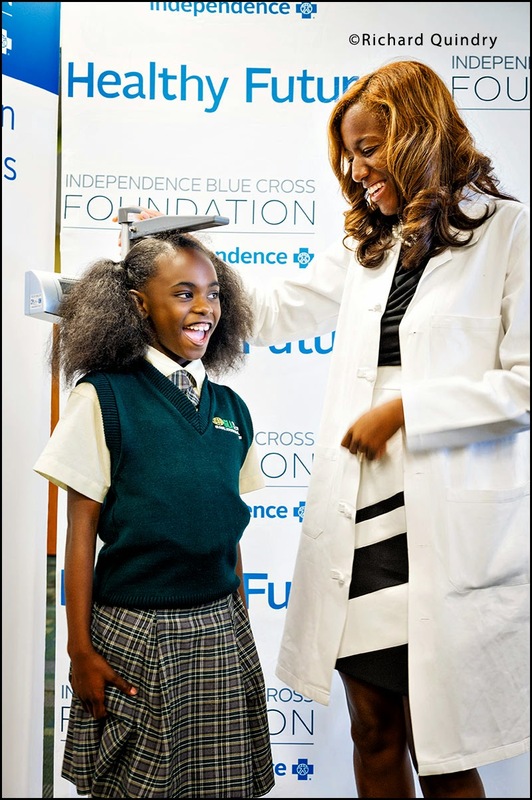 This is one of many images created to publicize Independence Blue Cross Foundation's Healthy Futures initiative. They've granted 1.8 million dollars to fund a three year program to improve children's wellness by teaching them how to "Stay Well", "Get Fit", and "Eat Right". Many of the children were very excited about it.